Update: A viewer noticed there weren't any computers in the new business center for Bright Beginnings and offered to donate several Macs. Mac Recycle Clinic dropped off the new computers this week. Most parents will do anything to keep their children safe and happy, but not every parent has the resources to provide their child with the best life possible, which is why Bright Beginnings has been helping D.C. families experiencing homelessness for more than 25 years. 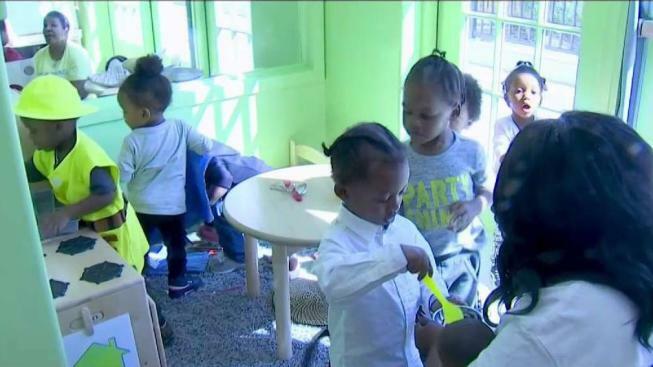 The organization believes to end the cycle of homelessness, the entire family has to be involved, so they provide free childcare and resources for parents to get back on their feet. Three years ago, Dominique Small found herself in a shelter with her three kids and not many options. For this week's Harris' Heroes, Leon Harris updates how some of our heroes are doing. “It’s not easy getting day care, especially for a young child even at 2," she said. But she found Bright Beginnings. “Our families have experienced trauma,” said Dr. Marla Dean, the executive director. “We’re trying to mitigate that trauma right away." They're dealing with that trauma in a brand new, state-of-the-art facility in Southeast D.C.
Moms start taking their babies there at just 6 weeks old. So while teachers nurture the babies — “There’s a crib for each one of them to sleep in, and then our teachers rock them to sleep, comfort them, hold them," Dean said — the staff helps the moms. “This is where they will take individual classes, get GED,” Dean said. The goal is to end the cycle of homelessness. “So if you really want to eliminate the problem, you really want to break the cycle, you have to engage in these services,” Dean said. There are countless success stories. CaShawn Thompson and her kids were living in a shelter when she started going to Bright Beginnings, and now they're thriving. Despite all the great work, Dr. Dean says the need is still overwhelming. “Right now in D.C., there are 2,700 children under the age of 6 who are homeless, and Bright Beginnings gets to serve about 300 of those children,” Dean said. But for Dominique Small, Bright Beginnings transformed her life. 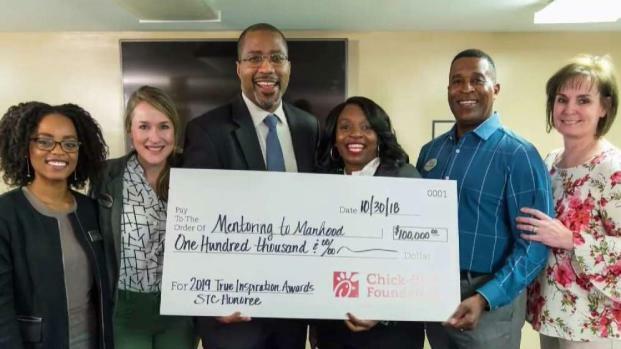 "I don’t receive any assistance — no food stamps, no TANF (Temporary Assistance for Needy Families) — and that was through the assistance of Bright Beginnings, and that feels good to be able to say that,” she said. Reported by Leon Harris, produced by Michelle Rivera and edited by Scott Eisenhuth.